THE [email protected] SIDEM – WAKE ATTE MINI! This content has 7 months, so all link after 30 days & DMCA is broken link & NO REUPLOAD. 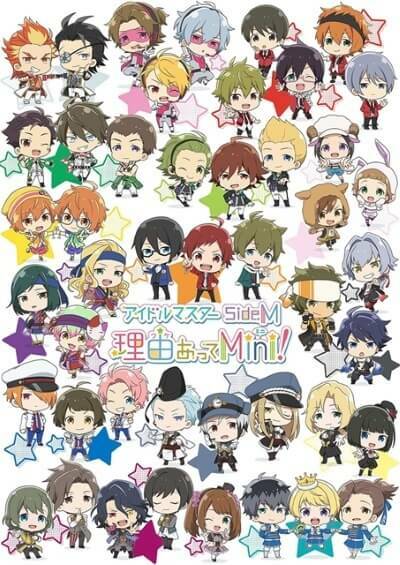 A TV anime adaptation of The [email protected] SideM Wake Atte Mini!, The [email protected] SideM franchise’s chibi style character-featured official spin-off manga illustrated by Sumeragi, is set to premiere on Tokyo MX and BS 11 on October 9, 2018. 315 STARS (Physical ver.) – LET’S GO! !